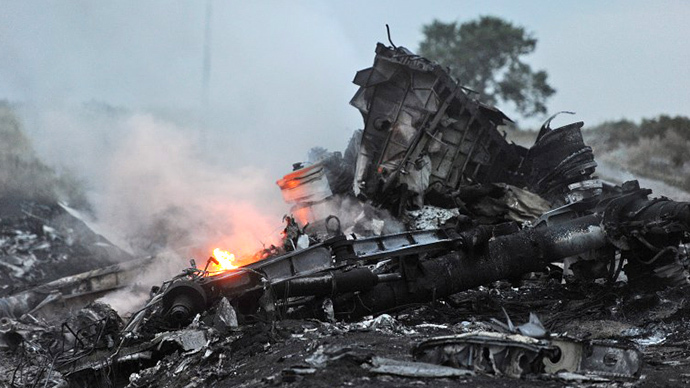 Without waiting for MH17 crash investigators’ conclusions, NATO chief is eager to blame anti-Kiev forces, thus “exerting pressure” on the international team while providing no evidence to back the claims, Russia’s mission to NATO said. 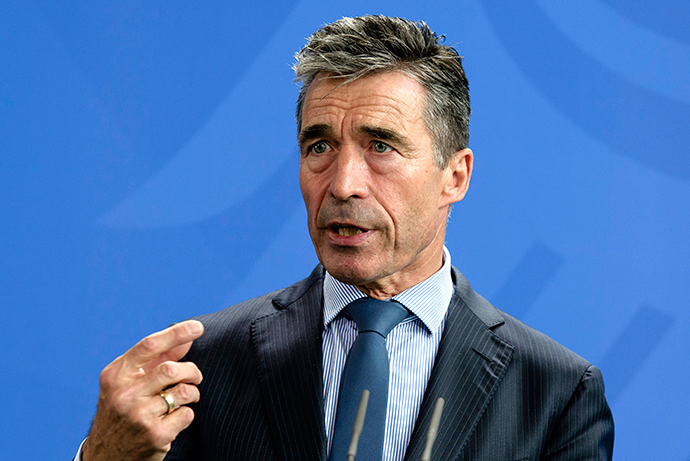 The Russian mission to NATO has said that the bloc's Secretary General, Anders Fogh Rasmussen “decided not to wait until the end of #MH17 investigation” to blame the anti-Kiev forces for shooting down the plane, referring to Rasmussen's comments in Sunday's interview with the French Midi Libre. 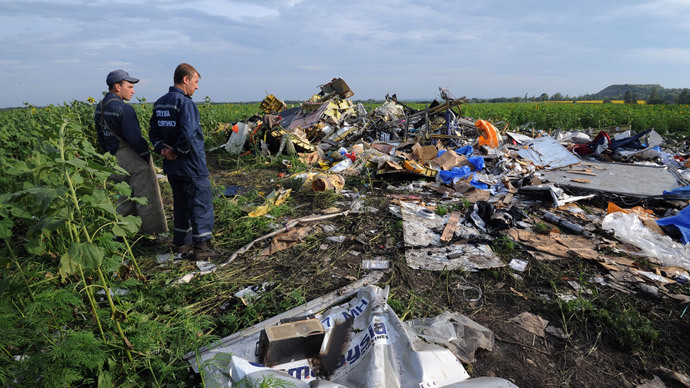 Although he admitted the necessity of a “full independent international inquiry to establish the facts,” Rasmussen did not seem to be willing to wait for the conclusions of the international investigation team working in Eastern Ukraine at the crash site. NATO's chief did not provide the French media with any evidence, and when RIA Novosti reached out for the comment, NATO replied that they “do not comment on the course of the investigation.” In fact, NATO told RIA earlier that the organization is not participating in the international investigation effort, indicating that secret “evidence” may never be shared even with the investigators. 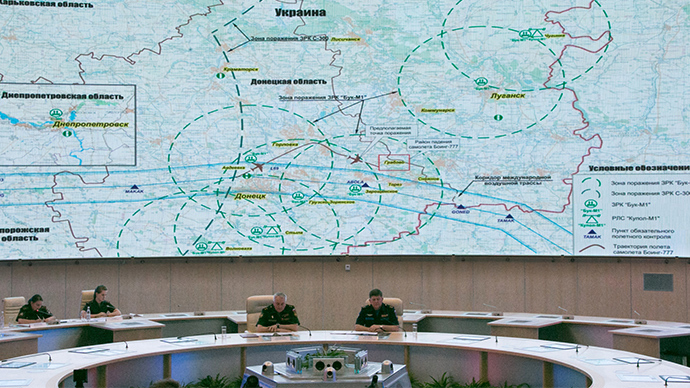 The Russian Ministry of Defense on the contrary held a substantial press conference several days after the crash, presenting some of the data of recorded by radars and satellites, and urging all parties rightly committed to a thorough investigation to do the same. Kiev at the same time seized all the records from its air-control tower, and has still not released them, two weeks after the tragedy. 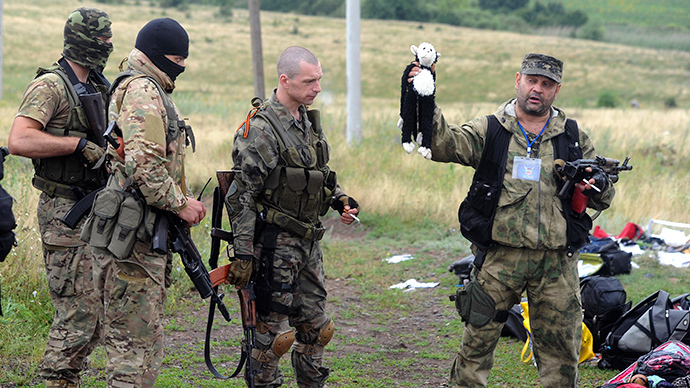 “Why do separatists not provide access to the crash site? There is something to hide,” he said, repeating that remark again when asked for any proof to back his claims. 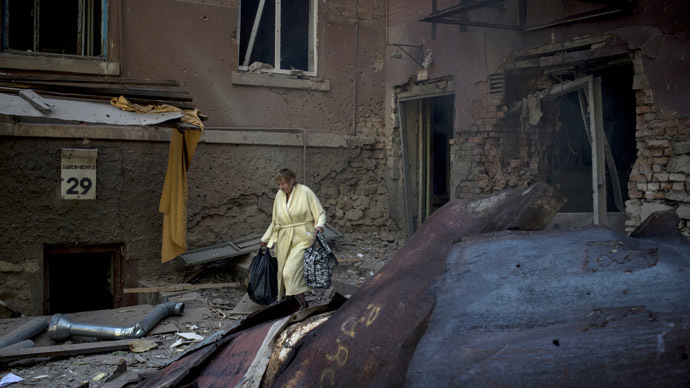 The ceasefire around the disaster area, promised by Ukraine’s President Petro Poroshenko, has repeatedly been broken over the last two weeks, with Kiev forces shelling the areas immediately adjacent to the crash site. 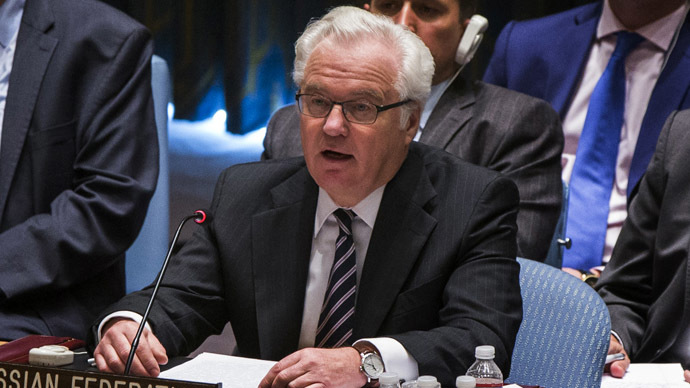 Meanwhile, Kiev official’s aspiration to “cleanse of the militias and take control of this territory,” Russia's UN envoy Vitaly Churkin says, could indicate that it is Kiev who wants to destroy implicating evidence. 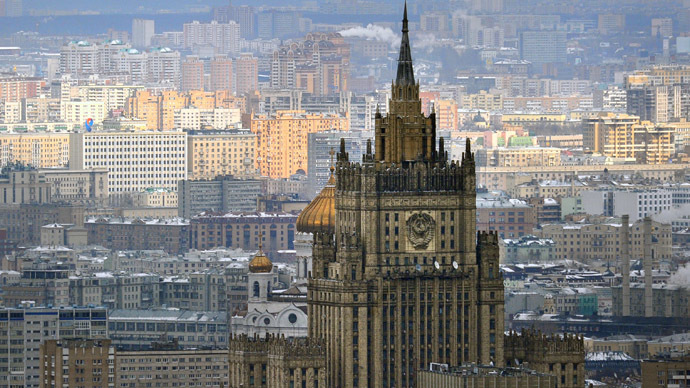 Instead of spreading unsubstantiated accusations and insinuations, the concerned parties should better share the objective observation data of the disaster area with the international organizations, the Russian diplomat added. 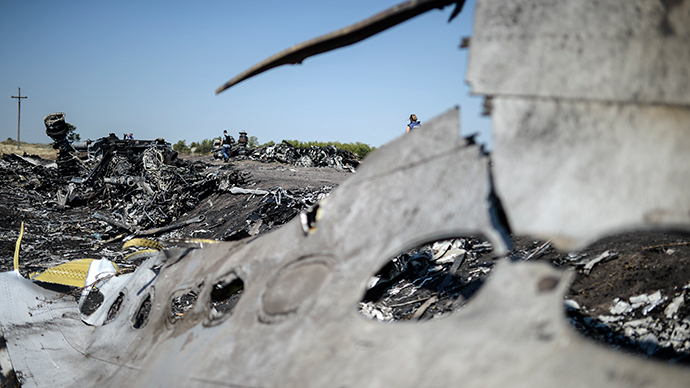 Besides social media reports and "common sense", the only “proof” so far – produced by Kiev to back claims it didn’t deploy anti-aircraft batteries around the MH17 crash site – are the satellite images, which carry altered time-stamps and are from days after the MH17 tragedy, the Russian Defense Ministry has revealed. 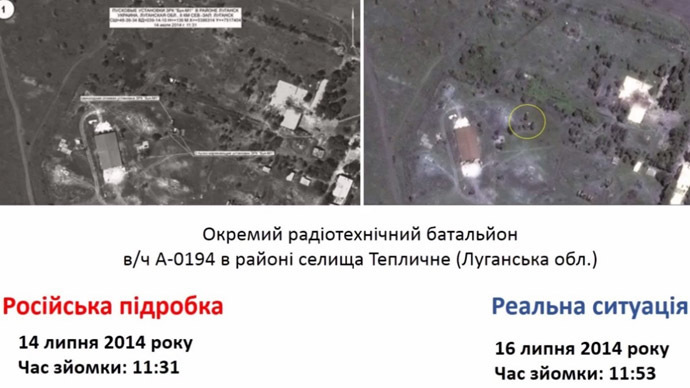 The images were apparently taken by a US spy satellite, which the Pentagon hesitates to release in its own name, the ministry added, since Ukraine has no such technical capabilities. The ministry also criticized images published by Kiev to back its allegations that Russia smuggled heavy weapons over the border. The images lack proper time stamps and coordinates, while Kiev didn’t bother to explain why it believes that whatever vehicles are shown in them are Russian. 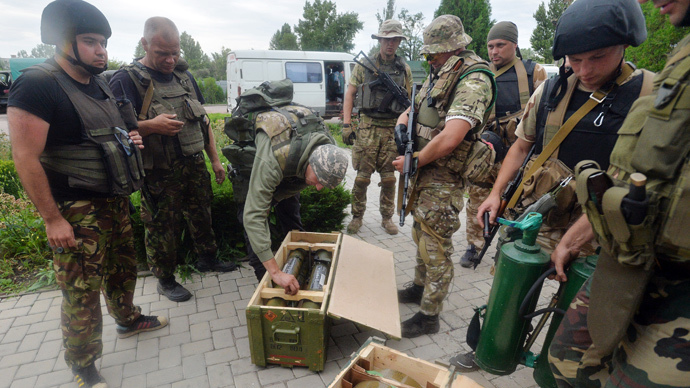 And at least one picture released by the SBU in that set was an absolutely irrelevant old photo showing Ukraine’s own missile launcher changing position three months prior to the MH17 incident. In the meantime, Rasmussen said that the alliance will soon come up with defense plans to confront “Russia's aggression” against Ukraine. NATO's chief also called on member countries to increase their military budget to match the perceived threat from Moscow. 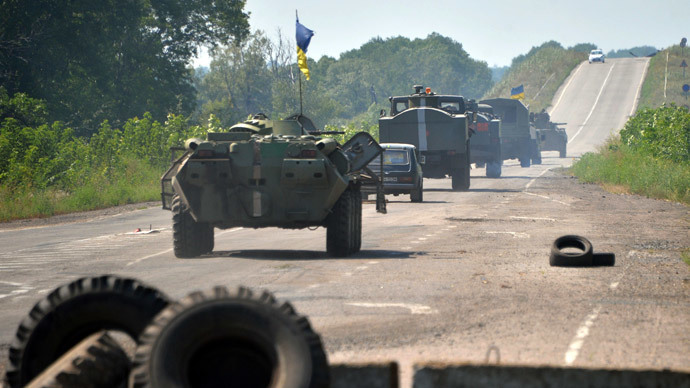 In the meantime this week the European Union “quietly” agreed to lift restrictions supplying Kiev with military technology and equipment, while the Obama administration officially informed Congress on Friday of its plans to train and equip the Ukrainian National Guard. 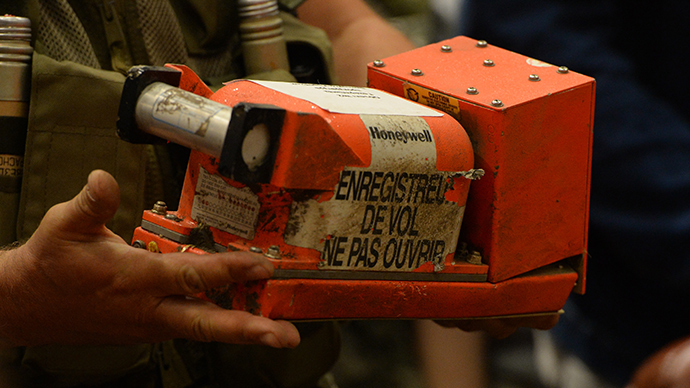 Preliminary examination of flight MH17’s cockpit voice recorder (CVR) revealed “nothing out of the ordinary,” a source close to the international investigation told the New Sunday Times. The data refers to the UK Air Accidents Investigation Branch downloaded communications between the Malaysia Airlines’ pilot and an unspecified person with an air traffic controller (ATC), the publication reports. “So far, from what the team has heard, there was nothing unusual. The last voice heard was not the pilot’s. 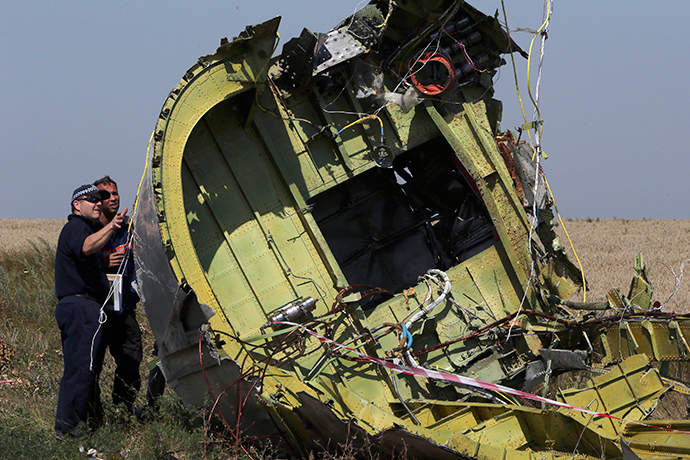 No, there was no indication that the pilots saw or sensed anything off,” the source said. 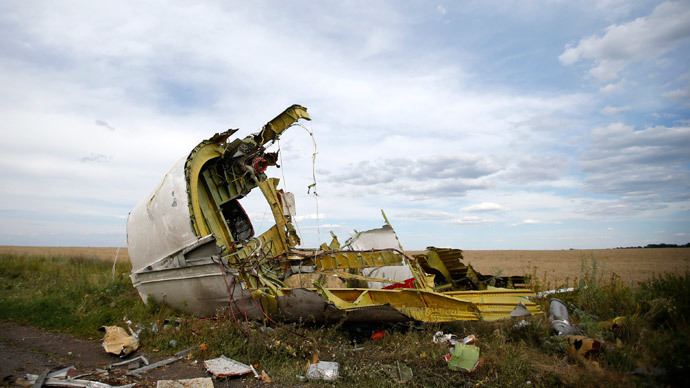 The publication points out it remains unclear if the team had secured the recordings from the Ukrainian air traffic controllers to match the conversations between the ATC staff and the MH17 flight crew. The plane’s two black boxes were given to Malaysian authorities last week and then sent to the UK for comprehensive ananalysis.